The national capital has more epic structures than anywhere else in the Americas. The photography opportunities are staggering, but so too is the challenge of creating images that are not cliché. 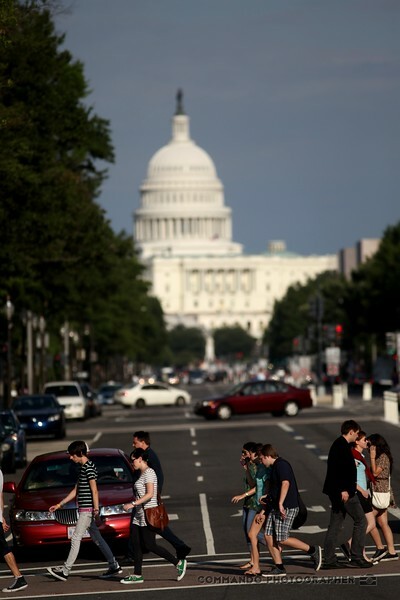 Looking down Pennsylvania avenue, tourists cross the street.